Your managers and leaders want to coach more – but they’re overwhelmed. Too many strategic priorities, too much email, too many meetings, rising expectations and the complications of getting a team to be more than the sum of its parts. Under stress like this, old management habits die hard. Bottom line? 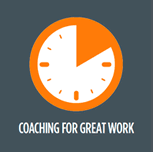 “Do more coaching” is easy in theory and difficult in practice for the time-stretched manager. A recent study found that, even with managers trained in coaching skills, less than 25% of people receiving coaching said it was having a significant impact on either performance or satisfaction. Those are shocking statistics. And unlike every other coach program for managers we’ve seen, Coaching for Great Work was built from scratch to tackle head-on the barriers that stop managers coaching more. 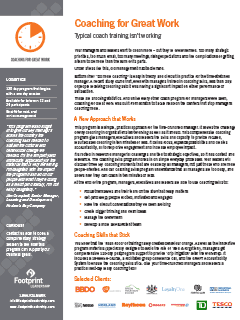 This program is a simple, practical approach for the time-crunched manager. It solves the challenge of why coaching in organizations isn’t working as well as it should. 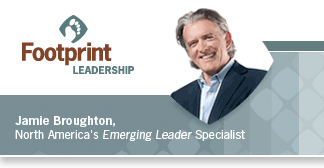 This comprehensive coaching program gives managers, executives and leaders the skills and capacity to provide focused, results-based coaching in ten minutes or less. It builds focus, expands possibilities and creates accountability, all to help drive engagement and increase employee impact. It’s rooted in real-world managerial challenges and tied to strategic objectives, so it has context and relevance. The coaching skills program hones in on simple everyday processes. Your leaders will discover three key coaching moments that are doable by all managers, not just those who are more people-oriented. And our coaching skills program understands that all managers are too busy, and shows how they can coach in ten minutes or less. You know that the ‘flash flood’ of training rarely creates behaviour change. As well as the innovative program materials (specifically designed to avoid the fate of ‘filed & forgotten’), managers get comprehensive 120-day postprogram support to provide ‘drip irrigation’ after the workshop.